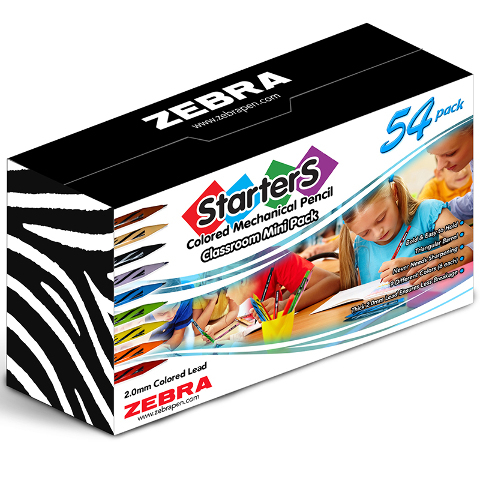 Cadoozles Starters Mechanical Pencils is a new generation of mechanical pencil with which kids can discover a new world of writing, drawing, and coloring. The 2.0mm thick lead can hold up to the pressures of the beginning writer and features a triangular barrel to promote proper grip. Plus it won't roll off the table! Includes 54 mechanical pencils in 9 colors (6 of each).